Dauzat St.Marie is a Los Angeles-based singer/songwriter duo comprised of Mat Dauzat and Heather St. Marie. Their debut EP “Falling Again” is a collection of well-crafted tracks that showcase Heather’s intoxicatingly rich voice and the duo’s tight vocal harmonies, as well as the duo’s powerful songwriting chemistry. The sound is powerful and often quite raw, with focus on their two voices and only sparse acoustic instrumentation. This powerful and raw sound captured the attention of legendary producer and mixer Ryan Greene during Dauzat St. Marie’s debut performance at the world-famous Hotel Cafe. Greene assisted Mat in the production of “Falling Again” at the duo’s North Hollywood recording studio, and he would later mix the EP. After a successful debut Hollywood show in January of 2014, Dauzat St. Marie embarked on 6 tours that took them all over the U.S. in 2014. No strangers to life on tour, their diligent road-dog touring style has fueled strong fan response and support. Their live show is intense and dynamic, and their strong messages and honesty create palpable connections to their audiences. Always perfecting and evolving their sound as they go back and forth between the road and recording, their fan-centered and do-it-yourself mentality has long been an aspect of their approach to music from the very start. 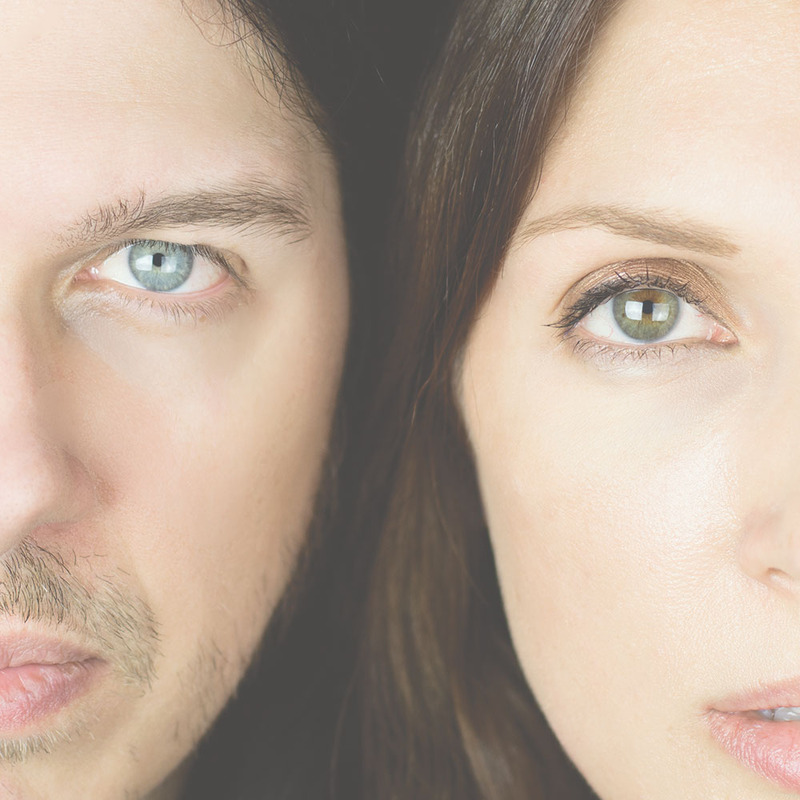 Known to most as the voices and guitar of the accomplished Los Angeles rock band Hydrovibe, Mat and Heather shared their music careers’ early beginnings as an acoustic duo in their home state of Louisiana. “Mat was trying to look for players to put a band together, and I was looking for an outlet for my singing,” recalls St. Marie. “So we decided to join forces and begin writing music and performing together. All we had was an acoustic guitar at the time, so that became the foundation of our songs and sound as well as the go-to instrument when it comes to songwriting for all our endeavors.” The two performed as a duo for a short time while they focused efforts on putting together the rock outfit Hydrovibe, and much of the resulting duo song material was then adapted to a rock format. When the two decided to relocate to Los Angeles to further focus efforts on their music careers, Mat was almost instantly hand-picked to be the lead guitarist for rock royalty Ozzy Osbourne’s daughter Kelly Osbourne. This launching him into a whirlwind of high-profile television performances and huge-scale worldwide touring, during which time Heather and Mat continued to write material for their rock band Hydrovibe. When touring slowed with Kelly Osbourne, Heather and Mat secured a band lineup for Hydrovibe and began making traction in the sometime fickle Los Angeles music scene. Heather and Mat got their big break as songwriters when the blockbuster hit movie SAW III included Hydrovibe’s song “Killer Inside” in the movie and on the official SAW III Soundtrack. The franchise also included the music video for “Killer Inside” in the SAW III Director’s Cut DVD and the SAW TRILOGY DVD Box Set. The exposure from Hydrovibe’s inclusion in SAW III catapulted the band into a rigorous touring schedule that has kept the rock outfit busy on the road for years, and has cultivated a strong following for the band. This intense touring regimen has set the precedent for Dauzat St. Marie’s current touring practice. Mat continued to be in demand as a touring guitarist, and while on the road with acclaimed singer/songwriter Schuyler Fisk, Heather and Mat were offered some opening slots on the shows. Their bare bones duo performances were very well-received, which ignited the spark that led them to begin to revisit their roots as a singer/songwriter duo. The two began sneaking in studio sessions between tours to write and record music specifically for this budding new duo project they later named Dauzat St. Marie, and a creative full-circle was effectively achieved.